Dr. Nguyen was born in Vietnam and came to the USA at 8 years of age. Dr Nguyen grew up in Houston, TX where she graduated with honors with a Bachelors of Science at the University of Houston. She then went on to the prestigious University of Houston College of Optometry and graduated in 2011. She is currently licensed to practice the highest level of optometry granted by the Texas Optometry Board. Dr. Nguyen is a therapeutic optometrist and Optometric Glaucoma Specialist, which means she is licensed to treat, manage, and prescribe medications for most eye injuries, infections and diseases and many more. Dr. Nguyen received extensive training and provided complete care for under-privileged patients with a concentration in glaucoma, diabetic and hypertensive retinopathy and cataract co-management throughout her externships. Dr Nguyen started her practice in North Dallas in 2011. Thanks to her supportive and loyal patients, she was able to expand into a newer and bigger facility in east Richardson in the spring of 2016. Dr. Nguyen is passionate in providing quality eye care and is constantly learning new and better ways to improve the quality of life of her patients. Dr .Nguyen sees all patients from the ages of 6months and older. Dr. Nguyen’s specialties are custom contact lenses for those that have never been able to wear contact lenses before, pediatric eye exams, and correcting “lazy” eyes with methods many have never heard of before. Dr. Nguyen is an active member of the Northeast Texas Optometric Association, Texas Optometric Association, and American Optometric Association. In her spare time, Dr. Nguyen enjoys playing tennis, jogging and reading. She also loves to do some karaoke every now and then! Dr Nguyen lives life with just a few simple ideology. Live simply. Love generously. Care deeply, Speak kindly. A transplant from sunny California to North Texas, Johnny brings with him more than 12 years of experience in the optical industry. Johnny has a large array of experience ranging from managing one of the biggest optical chain retail store in the country to managing newer boutique private practices. 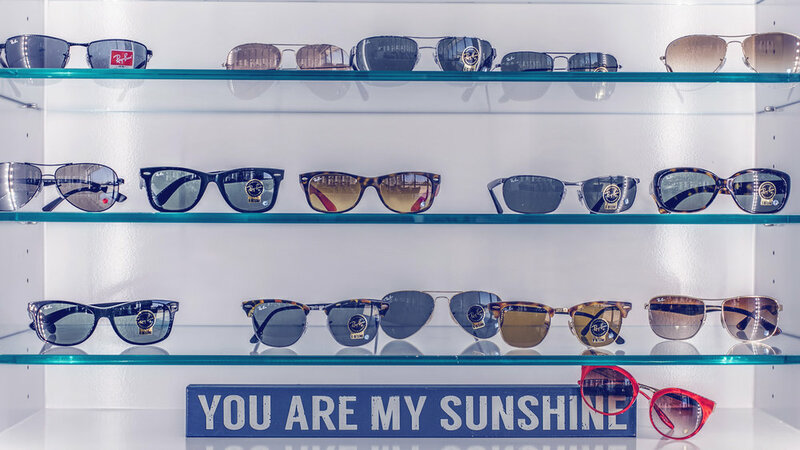 You will see that Johnny's upbeat personality and love for eyewear and fashion will be the perfect person to help find that next special pair(s) for you. 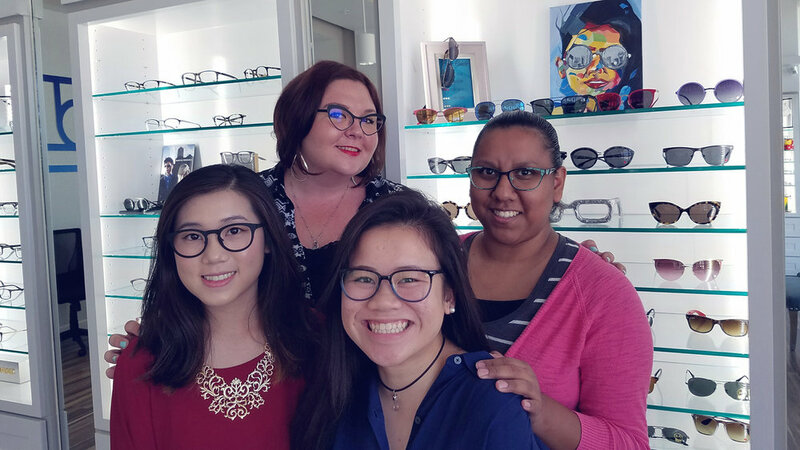 Rebecca started her career in the eyecare industry working for a group of eye doctors in the Houston area, since then, she has decided to move to North Texas to continue her career in a more intimate clinic like Perception Eyecare. Rebecca’s smiling face and upbeat personality will be there to greet as you as walk in the door. Rebecca’s job is to make sure every patient’s experience is pleasant and that all your questions and concerns regarding your visit, your benefits and so much more are taken care of. Kim joined the company in 2015 as a part-time optometric assistant. Kim’s cheerful personality and friendly smile will be greeting you as she walks you through the preliminary testing before you are seen by our doctor. Kim is currently attending college full-time and enjoys volunteering and teaching youths at church in her spare time. As a new member to our family in 2017, Ale has shown to be a vital team member that patients have adored. 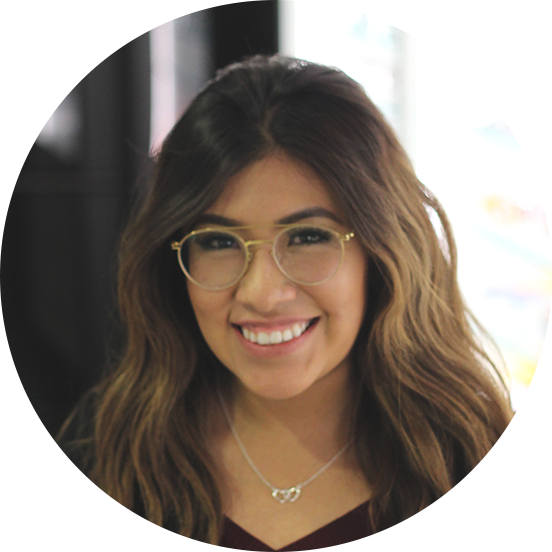 Ale’s sweet and caring personality will put your needs first when helping you choose the perfect pair of eyewear. Ale is currently attending school full-time to pursue her career in the healthcare industry. As a working student, Juan has joined our team in 2016 to gain more experience in the field so he can pursue his dream of attending optometry school to become an Optometrist. Juan is responsible for performing all pre-testing to prepare you to see the doctor as well difficult special testings as needed on patients. Juan’s work ethics really show in how he cares for patients. Crystle's friendly and professionalism will be one of the first thing you'll see walking in our doors. Crystle will guide you through our seamless check-in and out process. Crystle is also one of our insurance specialist; any questions about your benefits can definitely be directed to her. In her spare time and on weekends, Crystle helps her mom decorate for weddings through out DFW! If you need a wedding decor company let her know!